A paper from the Mercatus Center's Hester Peirce argues that FINRA exhibits a troubling independence from government, industry and the public. 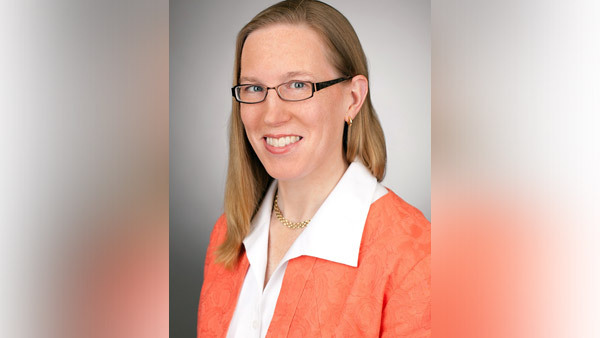 Hester Peirce says FINRA lacks accountability to the government or the industry. FINRA has the not-inconsiderable powers of censuring brokers, imposing fines, ordering restitution to investors, suspending brokers and even barring them from the industry. Is it now time to bar FINRA from the industry? If that provocative question resonates with financial advisors, among whom the organization is not universally popular, that may only reinforce the thesis of a new research paper claiming that the industry self-regulatory organization (SRO) is not a true SRO, which would presumably enjoy its members’ wide support. “People think of FINRA as a self-regulator, and that brokers run it and that it’s accountable to brokers. But it’s not accountable to brokers and not accountable to the public” is how Peirce put in a phone interview with ThinkAdvisor. Peirce adds that this “inadequately accountable operation” is actually growing in importance through an expansion of its role in securities markets and thus must now be held to account — either by folding it into the SEC or by transforming the institution into a true SRO. The researcher at the free-market oriented Mercatus Center favors the latter. “One approach would be to stop deluding ourselves and make this a governmental regulator,” Peirce said, “I don’t think that’s the best approach, given that the SEC also has its own problems. In practice, Peirce says FINRA acts independently of, and in a sense is hostile to, the industry it ostensibly represents. Her paper cites the organization’s governance as an example: “The board structure, which is intentionally weighted away from the industry, is not consistent with self-regulation. An organization run by a board that is dominated by people who are not in the industry is not an SRO; it is a regulator with industry representation,” it says. What’s more, Peirce, who describes herself as a “big believer in procedure,” highlights weak mechanisms of institutional accountability. For example, unlike governmental regulatory authorities that are designed to be accountable to Congress, the president and the public, FINRA does not have politically accountable directors or commissions — as does, say, the SEC — nor does Congress have oversight of its budget-setting. What’s more, FINRA is not subject to the Freedom of Information Act, which would provide the public with access to documents about its internal workings, nor is it bound by the Administrative Procedure Act, which requires public agencies to seek public comment about costs and benefits before adopting rules. Peirce cites as a current example FINRA’s current Comprehensive Automated Risk Data System (CARDS) proposal, which would establish a centralized database collecting individual investor account information. The rule would be costly for FINRA members who would have to oversee the monthly data collection. While she says the proposal has gotten “negative comments from industry folks” such as the Securities and Financial Markets Association, Peirce points out that the move to adopt CARDS comes precisely at a time when the industry is struggling to implement FINRA’s Consolidated Audit Trail (CAT) requirement. Another unusual aspect of FINRA’s neither-fish-nor-fowl organizational model relates to its disciplinary discretion to impose fines on members. Relatedly, Peirce’s paper notes the high level of compensation for FINRA’s leadership. Its CEO earns $2.25 million a year, considerably more than the SEC chairwoman’s annual salary of $165,300. Finally, the area of potential abuse that is perhaps most acutely felt at the street level is the organization’s enforcement actions against advisors. Not unlike the currently publicized witch hunts on college campuses where accused students are not afforded the rights defendants have in U.S. courts, advisors accused of suitability violations sometimes settle even when they disagree with the charges against them. She cites a case she read about in which such an advisor “just settled and got out of the industry… because the process was very expensive” and the lack of due process protections added to the advisor’s difficulties. Peirce says that it’s not just the rogues but honest financial advisors whose lives are adversely affected by FINRA’s procedures. “Even a good broker is going to have customer complaints because when people lose money, they complain,” the expert says. While there are two approaches — one governmental and one industry-based — to increasing public disclosure and procedural obligations to increase accountability, Peirce advocates making FINRA into a true SRO. That, she argues, is the longstanding tradition in U.S. securities markets going back to the New York Stock Exchange and over-the-counter markets. The combination of industry expertise and funding, and a self-interest in rooting out crooks, beats the track record of government regulators and trumps the inadequacies she finds in FINRA, her research paper argues.